If small shops or restaurants have their prices indicated in Cuban peso (Moneda Nacional), can I still pay in CUC? Hi, I will make a clarification. In most state owned stores (these stores usually sell processed food, canned foods, imported meat, liquor, etc) The prices will be marked in both currencies and you can pay with either currency. In state owned restaurants, you can always pay in either currency. But, the thing is, scams are common and the waitresses will sometimes try to convince you that the other currencies are not accepted and they might try to scam you out of some money. Be vigilant. If there are problems do not discuss it with the waitress, simply demand to speak to the manager. And don’t take no for an answer. The manager is always in the store. There is always a manager on duty. 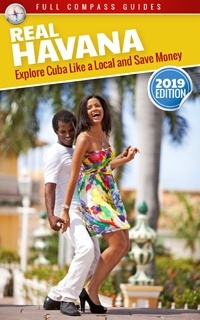 In most smaller independently owned stores (these stores usually sell handmade items like hand sewn clothes, Cuban made shoes, pots and pans etc…(These are like flea market stores) the prices are usually marked in MN but you can pay in either currency. But they might not always have correct change. But they usually do their best to give you the change in either currency or sometimes both currencies. In most independent restaurants you can pay with either currency. But again, the change is always an issue. For example: you buy a hamburger and it costs 15MN (roughly 65cents). You pay with a 1cuc note. You will get back like 25cents cuc, or 5 mn. They won’t count out the coins and give you exact change. If you pay with a 20cuc note, they will not like that… It will take all their change. So, a basic answer to your question is, yes, CUC is always accepted and even usually preferred. But for small items, you must have change in cuc, so you should always walk around with cuc coins. Or, use MN, which is basically like cuc coins. MN stands for Moneda Nacional. I always just say Moneda Nacional. You will sometimes also see it written as CUP, which means Cuban Peso. In general, I never use the word peso, because it can mean either CUC or Moneda Nacional. I prefer to keep things simple and only say CUC and Moneda Nacional. No. It would not be practical. For example, if you buy fruits at the market, the total cost might be 12MN. You will have small notes of MN and can easily pay. But for your casa, your bill for 5 nights might be 150cuc, which translates to 3600MN (multiply by 24). So you will have to have 3600MN in your pocket to pay this bill. You can carry large bills in MN, but you will still end up carrying many many notes. It would not be practical. Because you would need large denomination notes to pay for expensive things and small denomination notes to pay for cheap things (like the market). You would be walking around Havana with a backpack full of notes. This is one of the reasons for the 2 currency system. You can easily use MN for small purchases and CUC for bigger purchases. Also, most casa landlords and most higher end restaurants will not want MN. Yellow taxis mostly want CUC too. It is best to have mostly CUC and then a little bit of MN for small purchases. 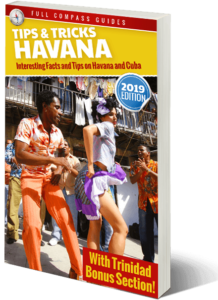 If you go out walking in Havana for a day, bring 50 cuc, so you are always sure to have some cash in case of anything, and 50MN, so you can purchase small items easily. That is the easiest way.